There exists several antiquated structures in the United States that are universally recognized by people all over the world as being historically notable. Such structures include the White House, the Alamo, and of course, John Wayne’s birth home in Winterset, Iowa. Well, maybe the last one is only notable to fans of western movies, but in any case, there exists around 80,000 properties listed as National Historic Landmarks in the United States and its territories. Obviously, the vast majority of these landmarks are not generally well known. But even the most obscure historic structures can mean a lot to residents who live in the towns where they are located. For example, the unincorporated territory of the US Virgin Islands is home to a structure known as the Old Scale House. This house is over 160 years old and is located within the town of Christiansted in St. Croix. This house has long been considered the pride of the town by residents in the area, but unfortunately, the house has come under serious attack from drywood termites. In order to renovate the house to make it termite-proof, the US National Park Service is having termite damaged wood replaced with naturally termite-resistant mahogany wood. According to the expert renovators working on the project, this wood will allow the house to withstand termite attacks and other forms of damage for at least 100 years. The Scale House was built in 1856, and residents of Christiansted are eager for Gary Zbel and his team with the National Park Service Historic Preservation Training Center (HPTC) to begin renovations on the structure. Zbel is specially trained by the US Government to restore old structures to their original glory, and he has already renovated more than a dozen other historical structures, including parts of the White House. The first step in the renovation process will entail the replacement of drywood termite damage to the house’s second floor. Zbel is using mahogany wood shipped from South America in order to replace parts of the house’s roof, beams and paneling. Mahogany is being chosen due to its immunity to termite attacks and mold. The last renovation during the 1970s saw builders using cheap wood that is vulnerable to termite attack, but the mahogany, according to Zbel, will allow the house to stand for, at least, another century. The cost of the house’s restoration is happily being paid for by the town’s taxpayers. 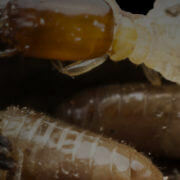 Have you ever been the first person to notice termite damage to a home or building? 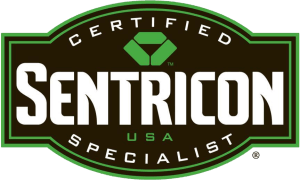 Importance Of Having Wasp Nests Professionally Removed Is A Lesson That A Recent... Which Spider Species Are Most Often Found Within Produce Shipments?